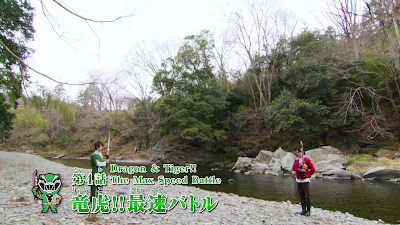 Well it's time for a crazy nostalgia for last year's Super Sentai and I decided to do a crazy post yet again. 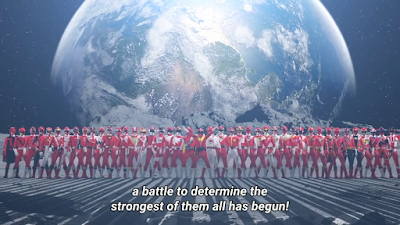 If there's one thing that I can't get over is that I've actually said that Lucky is Lone Starr in red spandex. You can go ahead and think I'm actually watching too much Spaceballs though I haven't seen the short-lived Spaceballs cartoon. 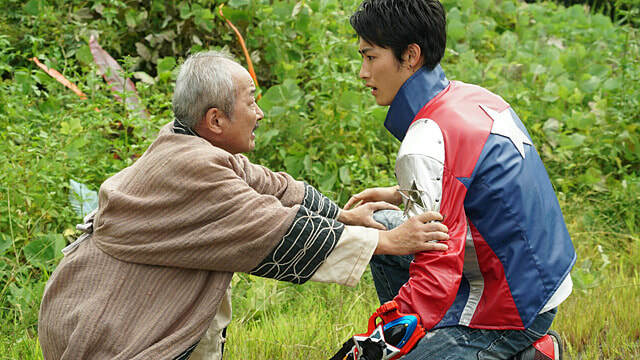 But I'm not going to stop with Lucky as I want to put Garu as Barf -- even if Barf is an anthropomorphic dog and Garu is an anthropomorphic wolf. I couldn't help but notice that series events make me want to think about the friendship that these two managed to develop. At first, I thought about how they met and how they became partners. What I wanted to notice (at first) was how Lucky is what I'd call a really idiotic fellow who's the main character -- that would remind me of Lone Starr from the parody movie called Spaceballs. Lone Starr is a hapless, idiotic protagonist who just goes around without a clue but ends up becoming the big hero of the show. 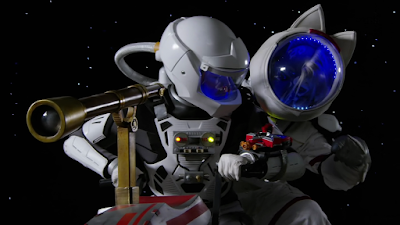 Talk about Kyuranger as a series where you throw in Star Wars, Spaceballs, Super Sentai and maybe even Star Trek into the mix and you get one crazy series. So how are they the Lone Starr and Barf of the series? Episodes 11-12 start to give us a bit of a background for Lucky. Lucky was actually misplaced as a child and Lone Starr was abandoned as a child -- both have mysterious background origins that aren't immediately known. 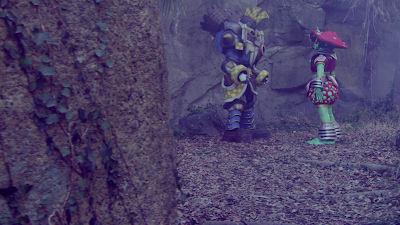 They just wander around space and they become the big heroes of their respective continuities. Those two episodes also gave Garu some development as he has Lucky back on his feet. Talk about Barf trying to keep Lone Starr's spirits high especially at very bad times! I just thought that the old man Gramps (who appeared in episodes 36-37) should have been named as Yogurt. Do you remember the scene when Yogurt from Spaceballs finally reveals that Lone Starr is actually a prince? Lucky has no idea he's actually a prince but I guess all the trauma hid his memories or he was too young to remember his heritage. Regardless, I thought that maybe the old man should have taught him to use the Schwartz to fight Jark Matter. Those two episodes always made me want to continue calling Lucky as Lone Starr in Spandex -- it doesn't help that Garu is actually his closest friend making the former Barf in Spandex. Plus, need we mention that the two are always into misadventures? It's really that funny just thinking how the two ended up exploring the Universe together as best buds -- just like Lone Starr and Barf!